I’m sure it’ll come as no surprise when I tell you that I get more excited about eating food at sporting events than actually watching the game. During baseball season, I look forward to the annual Fenway Frank, and football-watching requires an plate of Buffalo wings. Here in New England, it’s considered a bad season when the Patriots don’t make the playoffs, so in the past decade or so, I’ve eaten my fair share of wings. There’s nothing like stuffing your face while watching other people run and sweat. You might as well do it up right. In my twenties, we watched at a beloved Boston bar. The TVs were big, the wings great, and the crowd rowdy. But it took us awhile to find the right spot. We went through dozens and dozens of places serving wings that were too salty, chewy, or flaccid. Or, blue cheese dip so thick you could stand a fork in it. Most bars could haul in a huge flat screen, but great wings were far trickier to pull off. These days, the venue has moved to our house, but the flat screen is still a flat screen, and the crowd is still rowdy. The chairs are a little more comfortable and the wings, we think, are far better than any bar snack. In the Super Bowl of wings, these are the MVPs. Fried until crispy and drizzled with cherry red buffalo sauce, these wings are hot and tangy, spicy and salty. The key play, though, is sliding them into the oven after coating them with sauce, to set the sauce and let them re-crisp. The tangy blue cheese sauce is creamy and chunky, just thick enough so it coats the wing but doesn’t mask the buffalo sauce. If our team is going to make it all the way to the Super Bowl, the least we can do is make a memorable snack. 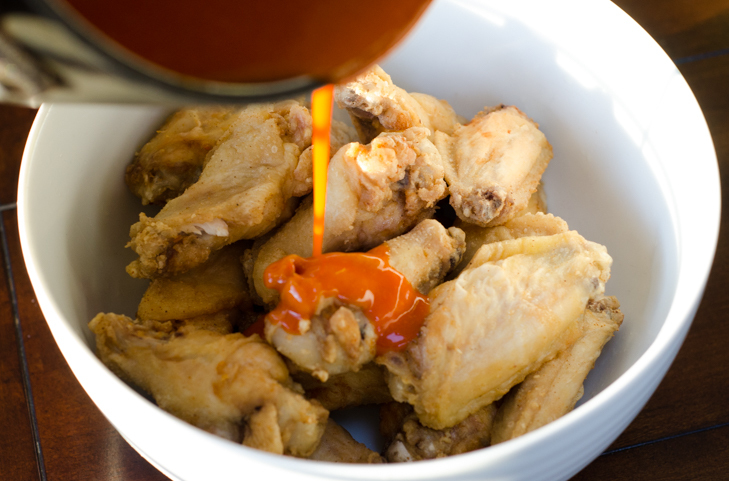 These wings are crowd-pleasing, but for a spicier alternative, add a few tablespoons of sriracha or other hot sauce to the buffalo sauce mixture. They can be made up to a day in advance and reheated in the oven. 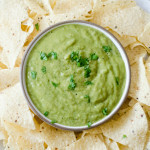 The dip can be made up to four days before serving. Bring up to room temperature and stir well before serving. 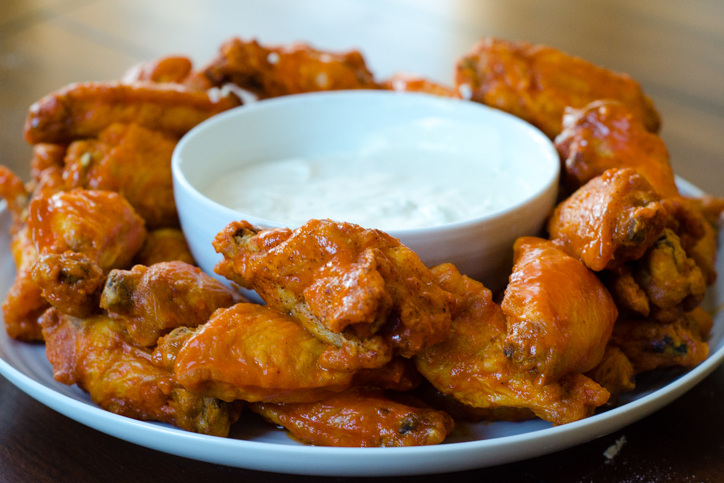 The wings feed six or eight for a generous appetizer. Serve them with carrot and celery spears. 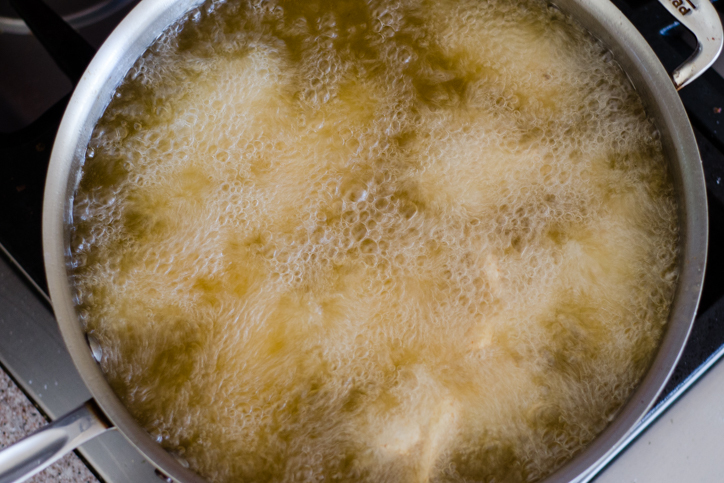 In a wide, deep skillet, add enough vegetable oil to fill two inches deep. Heat over medium heat until the oil reaches 350 degrees F. (I use a candy thermometer to measure and maintain the temperature). 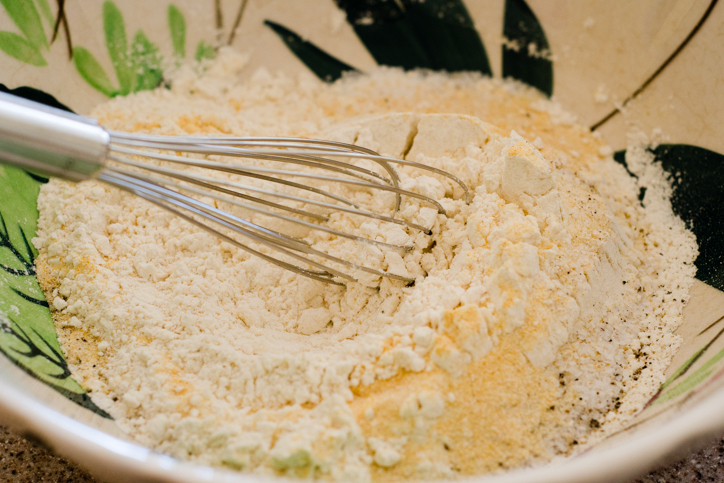 Combine the flour, garlic powder, onion powder, salt, and pepper in a large bowl and whisk to combine. Add the wing pieces in batches, and dredge evenly in the flour. 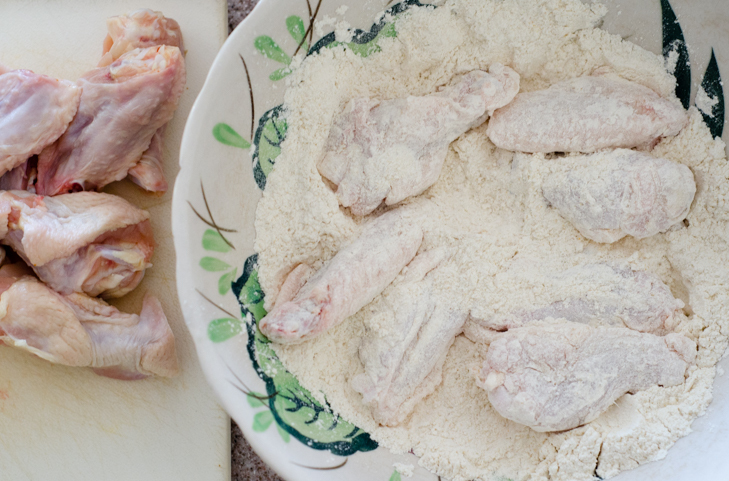 Tap the wings lightly to remove excess flour and drop carefully into the hot oil. Add only as many wings as can fit in a single layer in the pan. 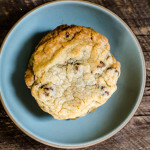 You may need to fry in two to four batches. 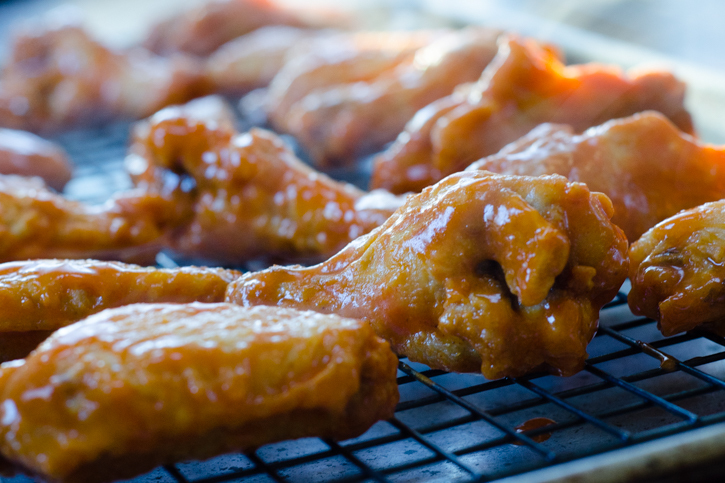 To maintain the correct temperature, you may need to increase the heat slightly after you add a batch of wings. Be sure to measure the temperature of the oil every time you remove a batch. Allow it to return to 350 degrees F before you add the next batch. Fry the wings, turning occasionally, for about 7 minutes, until golden brown and cooked through. Remove to a bowl and repeat with the remaining batches of wings. 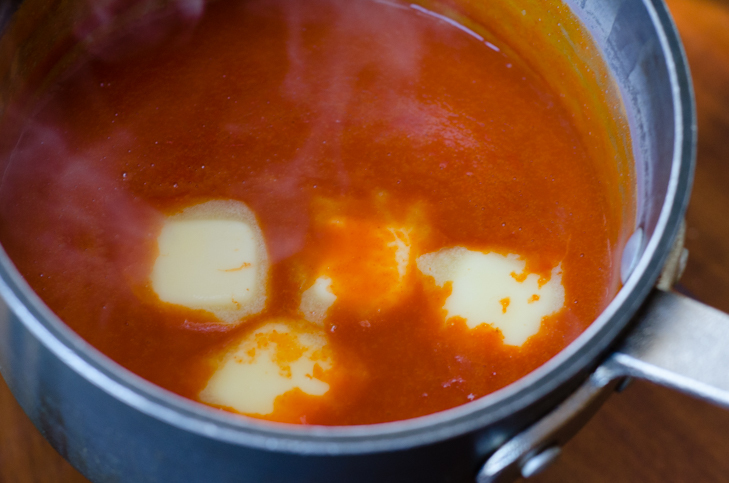 Meanwhile, heat the buffalo sauce, butter, salt, and cornstarch mixture in a small pot over medium heat. Bring to a low boil, stirring occasionally, and allow the sauce to thicken slightly, about 5 minutes. Remove from the heat. 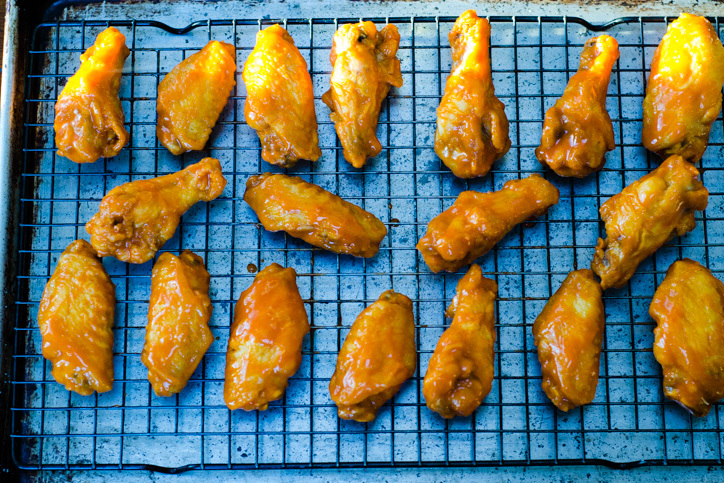 Once all of the wings are fried, toss evenly with the hot sauce and place on a rack-lined sheet tray. Place in the oven and bake 5 or 6 minutes, turning once in the middle, to set the sauce. While the wings bake, make the sauce. Crumble the blue cheese and add ¾ of it to the bowl of a food processor. Add the mayonnaise, sour cream, buttermilk, cider vinegar, salt, and pepper, and pulse until smooth. Remove to a bowl and fold in the rest of the blue cheese. 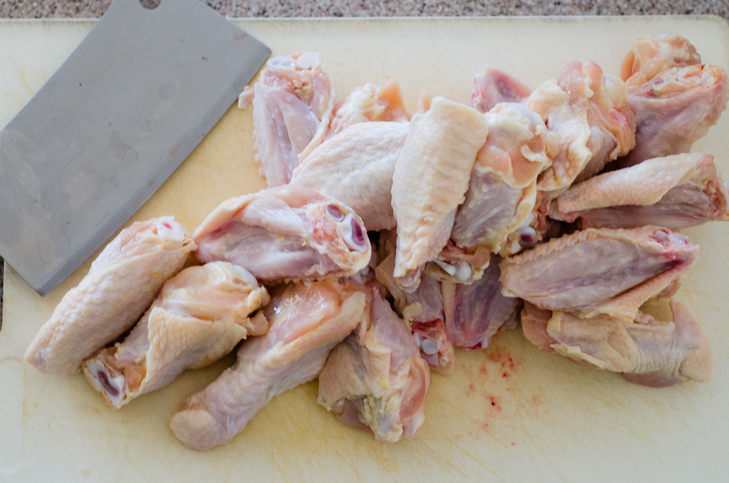 The wings can be made up to a day in advance and reheated at 375 degrees F for ten minutes, or until heated through. 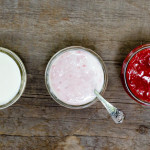 The dip can be made up to four days in advance. Before serving, bring up to room temperature and stir well. Serve the wings + dip with a side of carrot and celery sticks. Hi Peter, thanks for reading and commenting! I don’t know Melissa Close-Hart(sadly, I haven’t been back up there in awhile) but Chef Michel is, of course, a living legend! I hope you love the wings as much as we did – let me know!